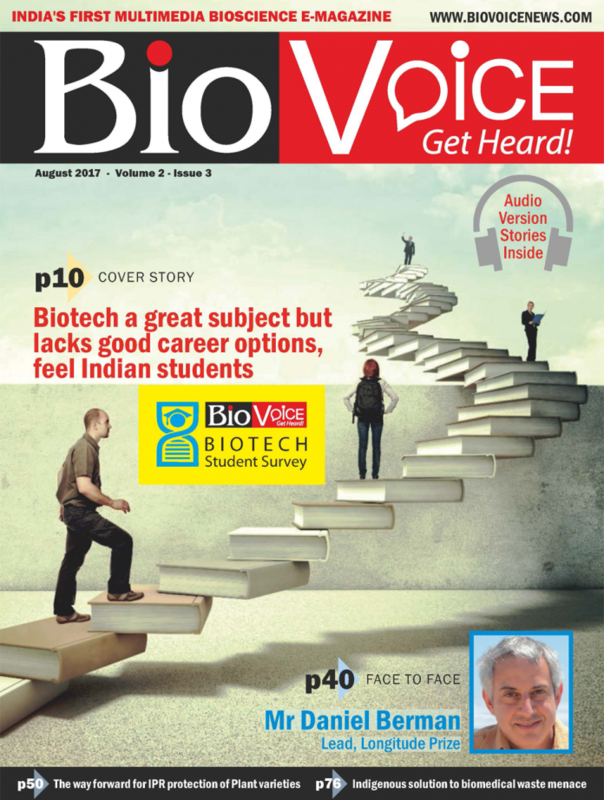 The ‘August 2017’ edition in its detailed ‘Cover Story’ features the insights from biotech student perception survey conducted by the BioVoice News. TIn the ‘Face to Face’ interview, Dr Daniel Berman, Lead-Longitude Prize, Nesta, UK shares his views on the Indian biotech sector besides the activities that Nesta is involved in to help Indian innovators to speed up their R&D to develop affordable diagnostic solutions. The ‘Special Startup Series’ features the family of innovators who have developed a futuristic safe and affordable injection system. The ‘Tech Talk’ has Mr PKSV Sagar, Managing Director, Camfil Air Filtration India sharing various insights related to air pollution, need for clean air and his company’s latest activities. The ‘Expert Column’ has two articles. 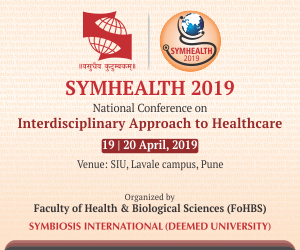 One focuses on the Prime Minister’s recent visit to Israel and how India could leverage the the country’s technological prowess to bring paradigm shift in healthcare. Another one takes us through the nitty gritty of the Protection of Plant Varieties and Farmers’ Rights Act, 2001 and its overall impact on Indian agriculture. Special Story features the OptiMaser, an advanced microwave based disinfection system. Much more to explore in this edition.